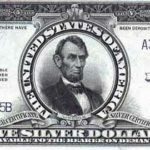 Irene J. asks: Can you identify this coin and value? On one side is the profile of the Polish King with the following description; “SIG.III.DG.REX.POL.MDI.” the reverse side shows three symbols: Polish White Eagle (uncrowned), Royal Coat of Arms and Vatican one. Above these, “III 1622 GROS.ARGE.TRIP.REGN.POLONI” and below : one shooting star joining the other one, with two points, one at each extreme. You have a 1622 Kingdom of Poland 3 Groschen. 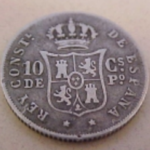 The obverse shows the crowned bust of King Sigismund III (1587-1632), the abbreviated Latin Legend is around, SIG.III.DG.REX.POL.MDL (Sigismund III King of Poland and Grand Duke of Lithuania). 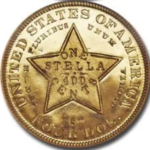 The reverse shows the denomination and the Mint Master mark (the stars device) below. The reverse legend is superimposed over armorials, III 1622 GROS.ARGE.TRIP.REGN.POLONI (Three silver groschen of the Polish Kingdom). Values depend on grade (condition). The coin is usually seen in Very Good (VG-considerable wear) to Very Fine (VF – light wear across the coin but all design elements present). Coins with only light wear on the high spots of the design (Extremely Fine or EF) are seldom seen. 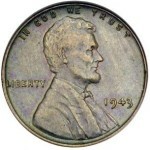 Uncirculated (new condition with no trace of wear and full original mint luster) examples are known but very rare. 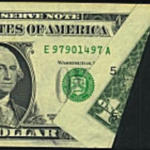 Approximate market value in VG-VF – US $1 – $10. 1632 Swedish Crown or Medal? Can you explain the symbolism on the Swiss half franc?